What is Manual Transmission Fluid? Some manual transmissions use engine oil as transmission fluid. 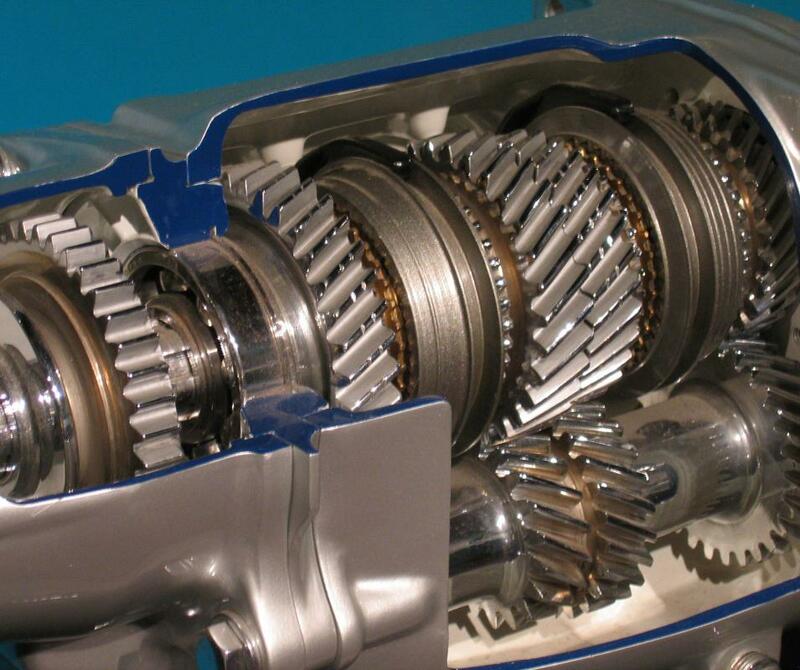 Cutaway view of a transmission. A transmission without the housing. 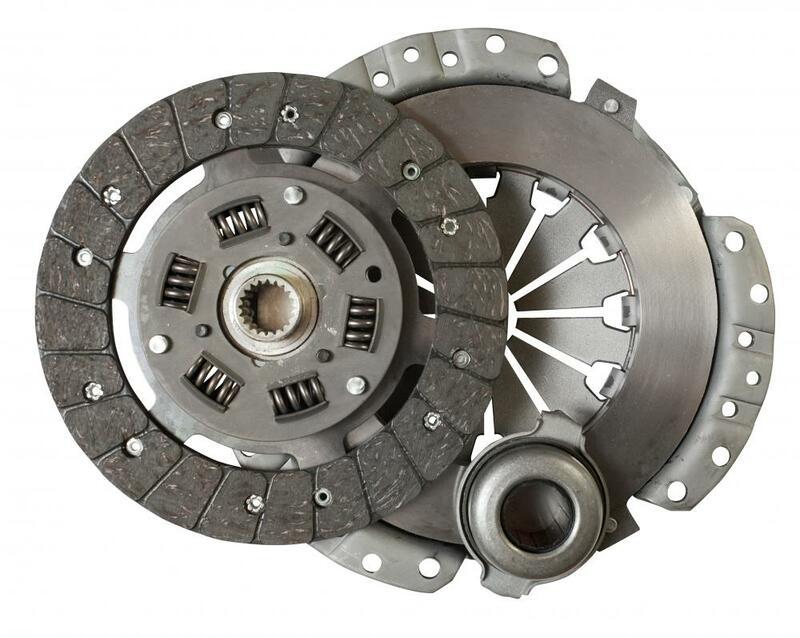 A clutch, part of a transmission. Manual transmission fluid must be changed more frequently than the oil in an automatic. 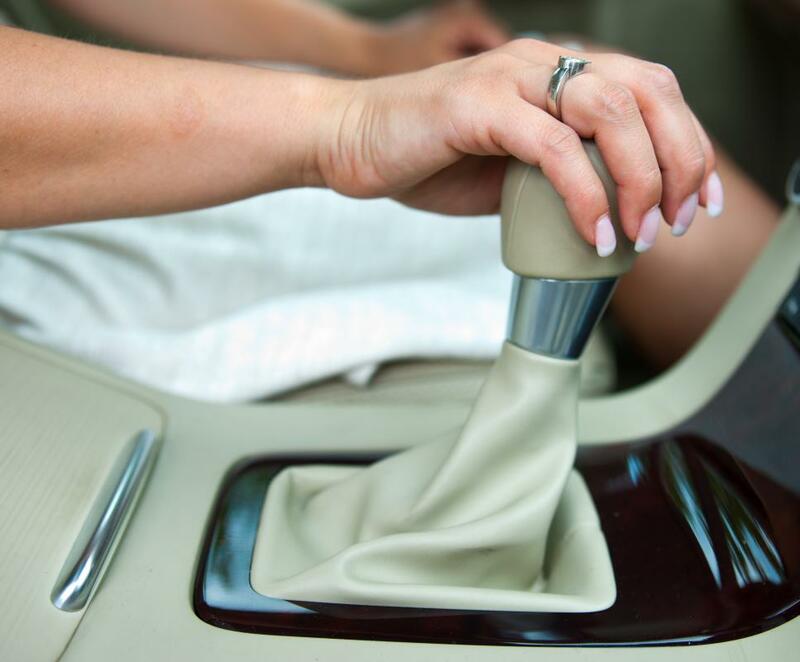 Manual transmissions require more frequent fluid changing. Manual transmission fluid is the fluid used to lubricate and cool down a manual transmission. Unlike an automatic transmission which has its own specialized fluid, manual transmission fluid uses common engine oil or gearbox oil, a higher viscosity oil that is also used in other parts of an engine. Like automatic transmissions, manual transmissions also require their fluid to be changed. A manual transmission is utilized by the driver to switch the gears in the car. Different sized gears keep the ratio of the high speed of the engine and the lower speeds the wheels in proportion, while also increasing the movement of force. This allows the car to keep moving without losing power and also keeps the wheels from moving too fast. The most common example of a manual transmission is in a car although other vehicles, such as a motorcycle, have them as well. In a car, the driver presses a pedal, known as a clutch, that allows the gears to temporarily disengage. They are then shifted to another gear using a stick shift that is typically on the floor of the car. In an automatic transmission, this is done without any manual intervention on the driver’s part. Any type of transmission experiences high amounts of heat due to the high speeds being generated. 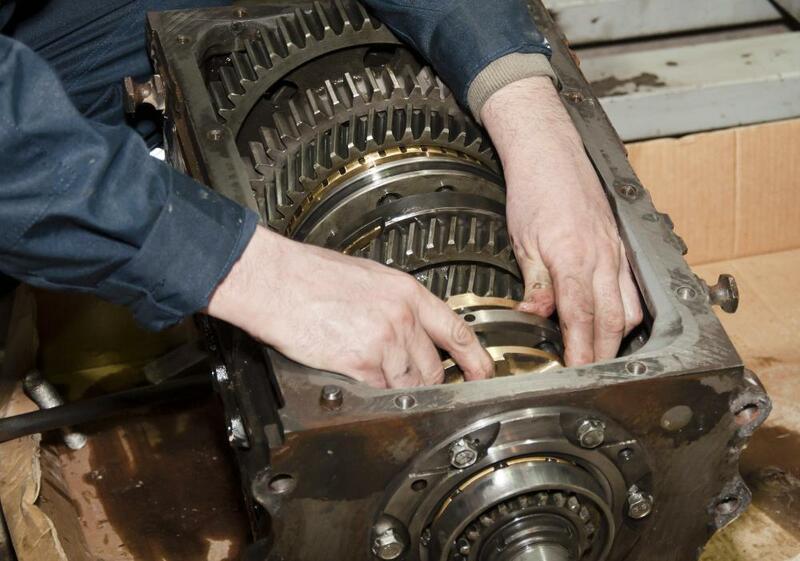 In order to run smoothly, transmissions have to be cooled down slightly, as well as lubricated. Transmission fluid provides this functionality. In automatic transmissions, there is a specialized fluid that is almost always used. It has many chemicals in it that are not only responsible for cooling and lubricating, but also seal and condition the transmission. Car manufacturers will typically recommend the type specifically needed. 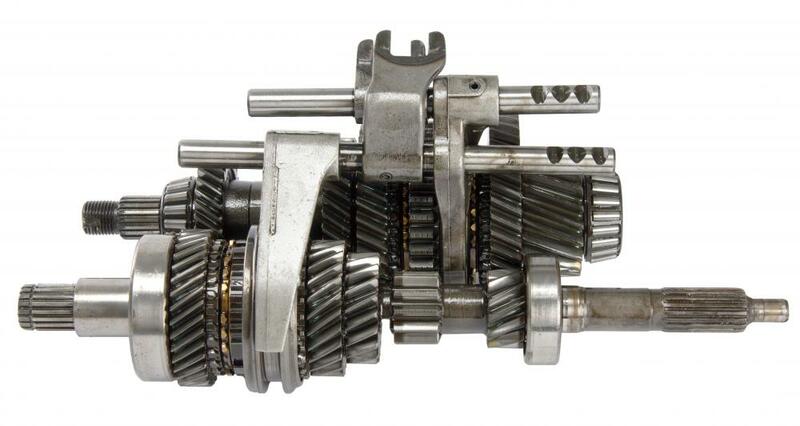 With manual transmissions, engine oil or a high grade of oil called gearbox oil is typically used. This is because the transmission is just moving parts without the added components an automatic transmission would have. 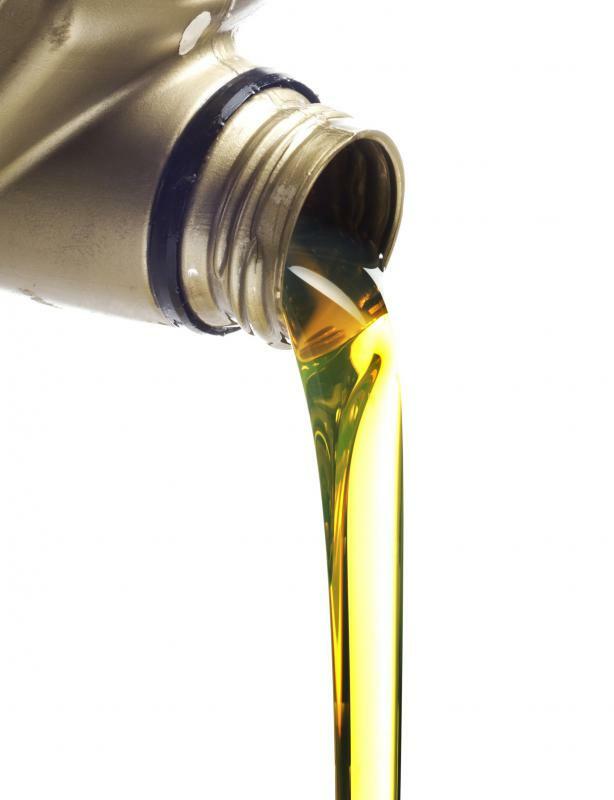 The type of oil required for use in a manual transmission fluid depends on the type of engine. Most manufacturers will recommend a specific type of manual transmission fluid for their specific engine. For whatever reason, many people do not associate a manual transmission with a fluid. Unlike with an automatic transmission fluid, many owners don’t commonly realize that manual transmission fluid has to be changed. It is recommended that manual transmission fluid be changed more frequently than automatic transmission fluid. An automatic transmission might need to be changed every 60,000 miles (96,560 km), or possibly never, but a manual transmission should be changed every 15,000 to 30,000 miles (24,140 to 48,280 km). Most manufacturers will recommend the correct interval for a fluid change. What are the Steps for Changing Transmission Fluid? How do I Choose the Best Transmission Dynamometer? 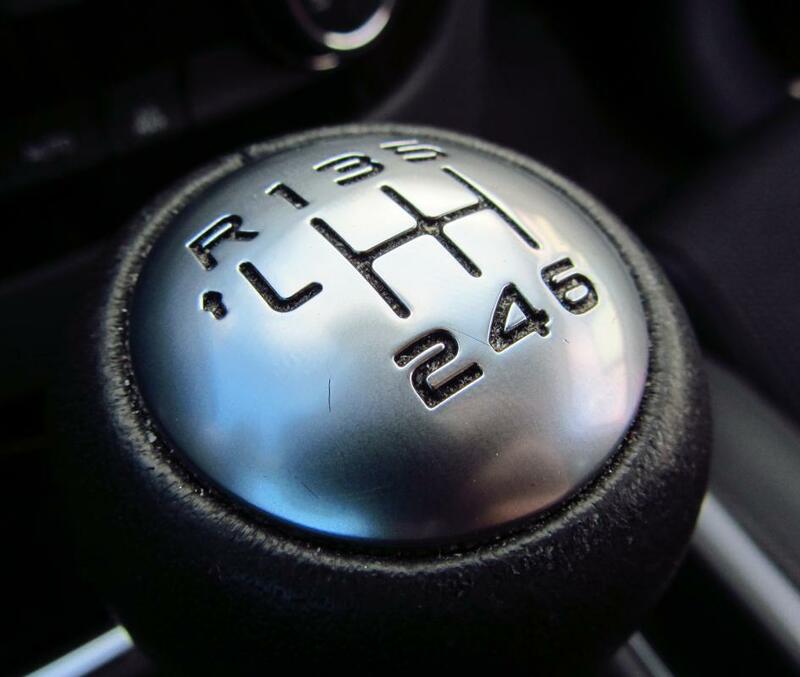 Which Gets Better Gas Mileage: Cars with Automatic Transmissions or Manual Transmissions?